The Bible tells us Jesus will return to earth and the faithful will be called to meet the Lord. But will the Rapture happen before or after the seven-year Tribulation described in Revelation? Will believers have to suffer seven years of unimaginable hardship alongside the unsaved? Tracing the history of the Tribulation debate over the last 175 years, Tim LaHaye carefully examines the alternatives-and with his customary clarity and resolve, affirms his position that pre-Tribulation Rapture is the message of the Bible. - Publisher "Are you pre-trib, post-trib, or somewhere in between?" It's a common question about the rapture that breeds even more questions---and confusion! LaHaye presents a biblically based defense for the pre-tribulation position, leaving you assured as to when Christ will bring you home. Previously published as No Fear of the Storm. "Are you pre-trib, post-trib, or somewhere in between?" It's a common question about the rapture that breeds even more questions---and confusion! 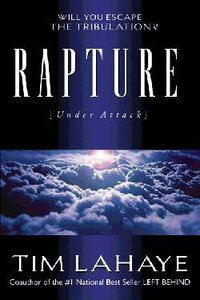 LaHaye presents a biblically based defense for the pre-tribulation position, leaving you assured as to when Christ will bring you home. Previously published as No Fear of the Storm.